Theme park operator, Gulliver's, is having to relocate some of the features of its Gulliver's Valley development in Rotherham after detailed surveys highlighted the precise location of old mineworkings on the Pithouse West site. Planning permission was granted in March last year for the £37m leisure resort - the first of Gulliver's sites in the UK to encompass all their major family entertainment elements in one location with new attractions exclusive to Rotherham. The plans were not called in by the Government but are subject to a number of conditions. The greenbelt site adjacent to Rother Valley Country Park was previously an area of opencast mineworkings where Gullivers is purchasing 250 acres of land from Rotherham Council. The authority received £449,000 as part of the disposal last year. The site of the Brookhouse Colliery also included a coking works to the North West at Chesterfield Road and this land is set to be retained by the Council. Disused mineshafts have now been located on the main site. Chris Wilkins, development manager at Rotherham Council, said: "Wherever they are, there's a condition that says: "you can't build over here." It does allow for small scale buildings but if they wanted to build something, they would have to make sure it applies with all of those conditions that were in the planning permission - and one of those is, don't build over mineshafts. "They [Gulliver's] have identified where the mineshafts are and they are having to move some of the proposed buildings quite significantly to take account of that. We will be having what's called a section 73 application coming back to board where they are proposing to move a hotel 90 metres. It will come back to members now that they've discovered where these hidden "gems" are and it's not something we can deal with as a non-material amendment." Engineering consultants Clarkebond have undertaken studies of the site where the opencast coal mine, which was worked until 1995, is further underlain by mine shafts leading to deep coal mines. Expected to be built over 12 - 15 years, some construction work is already taking place on site. The theme park would come first and further developments would follow afterwards. It is thought that the features having to be relocated are in the later phases of the scheme such as the Wilderness Hotel. Set to open in 2020, phase one includes the main Gulliver's theme park with three themed areas, the entrance hub and castle. To help make the plans a reality, the planning board at Rotherham Council has approved a Local Development Order (LDO) - a planning tool brought in by the Government to streamline the planning process and speed up development. The Gulliver's LDO covers various aspects such as buildings, fences, bridges, kiosks, roadways, stalls, marquees, and even a swimming pool. Now enacted, the order effectively grants planning permission and will mean that Gulliver's will not need to submit a planning application for each amendment or addition to the park. The paper to the planning board explains: "It is considered that the developments that would be permitted, subject to conditions as set out in the LDO, would not adversely impact on the wider environment or community, but would allow flexibility and reduce both delay and cost during the programme of works to build out the approved theme park/leisure complex. "In other words, based on current policies the expectation is that should a planning application be forthcoming for such developments, permission would be granted for them." 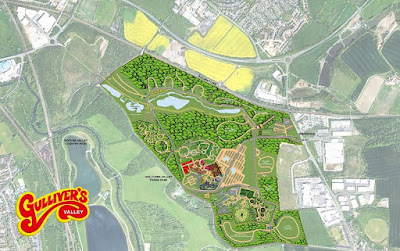 Wilkins added: "This is for the Gulliver's theme park where they are wanting to start work very soon. The LDO looks at different areas of the site and has different permitted development allowances within those areas. We are looking at certain allowances that would normally need permission. "Theme parks do have permitted development rights so they can do things once they are up and running. It's obvious that they are going to want to move rides around and put new rides in. This just relaxes that slightly further and includes other issues such as extending buildings or other smaller buildings. "Any permitted development under this order still has to comply with all the conditions that are set out in the planning permissions." The ecological wetland areas on the site are set to remain untouched. 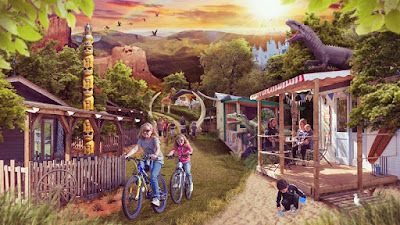 Following on from theme parks in Warrington, Matlock Bath and Milton Keynes, Gulliver's Valley is to be a year round destination aimed at 2 - 13 year olds and include a theme park hub, woodland adventure centre, ecology and education centre, lodges, hotels and a holiday village. Around 400 jobs are set to be created in Rotherham by the family firm that is celebrating 40 years in business this year.